Buildings and infrastructure represent principal assets of any national economy as well as prime sources of environmental degradation. Making them more sustainable represents a key challenge for the construction, planning and design industries and governments at all levels; and the rapid urbanisation of the 21st century has turned this into a global challenge. Sustainable Materials and Manufactures, focusing on building material products, their manufacture and assembly – and the reduction of their ecological ‘fingerprints’, the extension of their service lives, and their re-use and recyclability. It also explores the prospects for applying the principles of the assembly line. 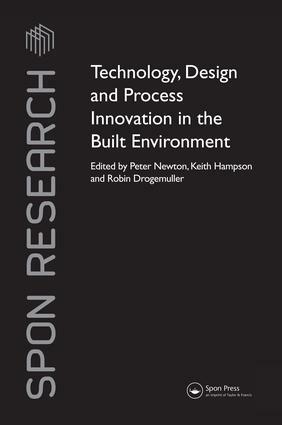 Virtual Design, Construction and Management, viewed as increasing sustainable development through automation, enhanced collaboration (such as virtual design teams), real time BL performance assessment during design, simulation of the construction process, life-cycle management of project information (zero information loss) risk minimisation, and increased potential for innovation and value adding. Integrating Design, Construction and Facility Management over the Project Life Cycle, by converging ICT, design science engineering and sustainability science. Integration across spatial scales, enabling building–infrastructure synergies (such as water and energy efficiency). Convergences between IT and design and operational processes are also viewed as a key platform increased sustainability.